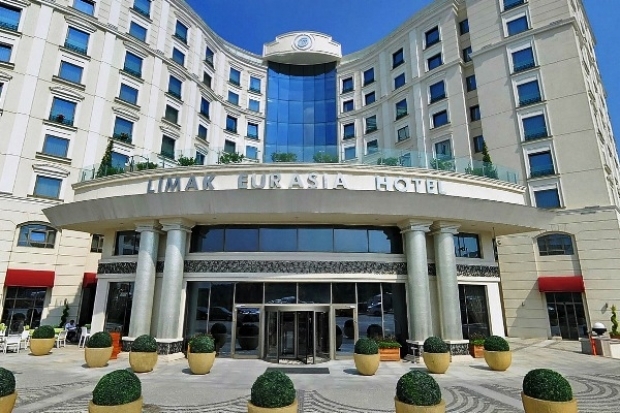 When would you like to stay at Limak Eurasia Luxury Hotel - Check Availability & Room Rates!!! The hotel is located in a restful area, in the front has a nice forest and with any breathe you take fresh air. The wooden terrace, pool and the restaurant of the outside give a luxury and peaceful aura. In some special rooms the guests have their private spa bath and the same time they can watch the view with delight. Limak Eurasia Luxury Hotel is the pearl of the Asian Side in Kavacik. You will find all you need to relax, do shopping and to do business too. How far and How long will it take from/to the Limak Eurasia Luxury Hotel Istanbul from/to International Airports and cruise Ports. Ataturk Airport-Lost and Found How to meet at Ataturk airport What time should I leave my hotel to catch a flight in Sabiha airport? How to get from Ataturk airport to the city? What time should I leave my hotel to catch a flight in Ataturk airport? How to meet at Sabiha Airport Istanbul Airport Shuttle Is there any additional charge for my airport transfer service? Ataturk Airport Transportation How to get from Sabiha Gokcen Airport to the city?